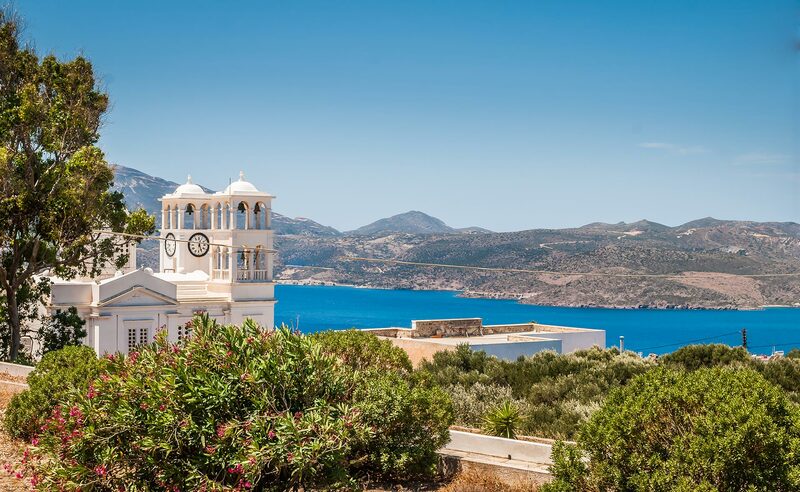 Uniquely situated on the hilltops of Trypiti village and nestled amongst the scenic windmills of the island, Eiriana is only a breath away from key historical sites, beautiful beaches and exquisite restaurants. 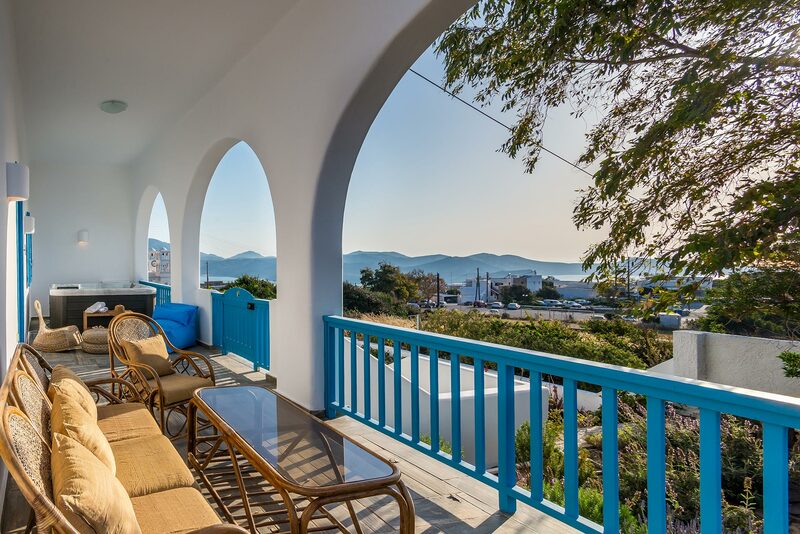 ‘Plaka’ – the picturesque Capital of Milos – is only a 10-minute walk whilst the famous Catacombs, Ancient Theatre and discovery site of Aphrodite are just 2kms away. 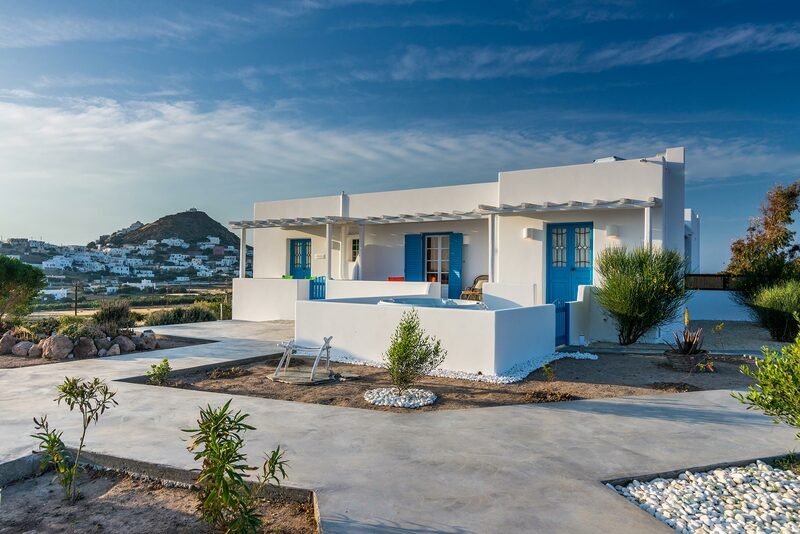 Eiriana is less than 5 minutes away from the closest bus stop and Trypitis’ centre with its unique little ‘tavernas’ and excellent food, whilst some of the most striking beaches and Milos’ distinctive sea-front establishments (‘syrmata’) are just a 10-minute drive. 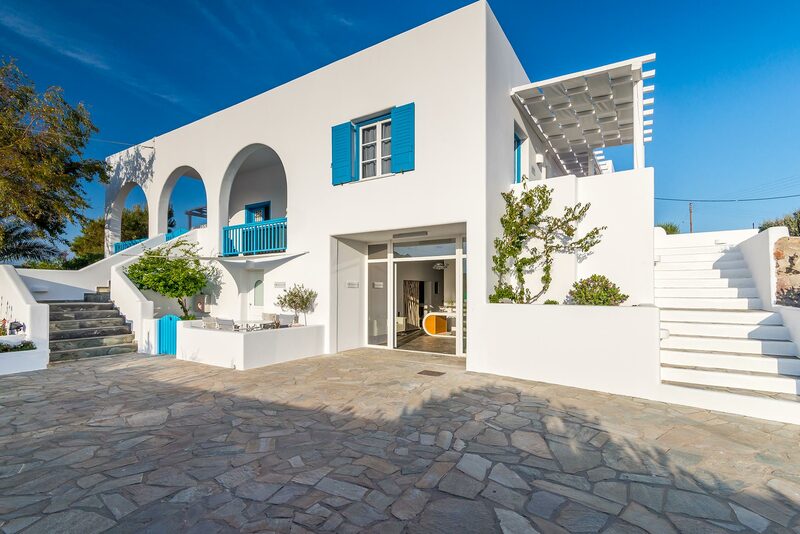 Also known as the ‘Island of Colors’ for its dramatic landscapes of vibrant rock formations and jewel-colored waters, Milos floats serenely in the Aegean Sea among the cluster of Cycladic islands. It was here that the world-famous statue of Venus de Milo was discovered and although she now stands high at the Louvre, Milos has plenty of other attractions to admire; over 75 stunning beaches adorn the island’s coastline, each with its distinctive color accents of sand, stone, pebbles and shell, while the vast history, quaint villages and friendly people all combine to make Milos a true haven for its visitors.